With so many runners buying products from companies who serve a $5 billion-plus marketplace, you'd think there would be a better understanding of what works and what doesn't. Despite all the technology (and more recently, simplicity) that goes into running shoes, no one can definitively say that cushioned shoes protect better than minimalist trainers. While that debate continues, some things are a given: polyester shirts are superior to cotton for evaporating sweat. But there are still a few debatable items. 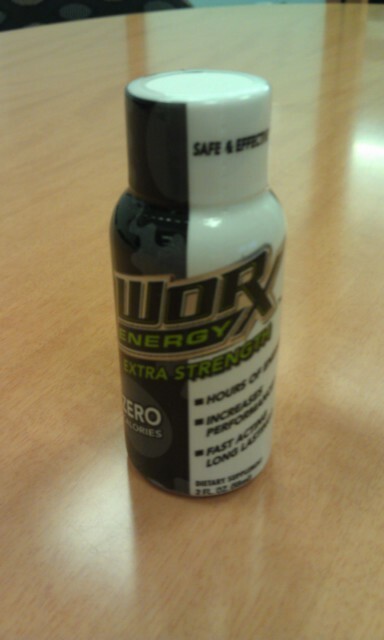 Among the giveaways offered at last weekend's race Expo, was a sample shot of Worx Energy. This bottle looks similar to those ubiquitous products that sit near checkout counters and promise 4 or 5 hour sustained energy. Were it true, 2 ounces of Worx could have sped me through the half marathon with two hours of energy to spare. Did I use it? No. Would I try it? No way. I made the mistake of trying a Barracuda energy shot, that was included in a race goody bag a few years ago. I drank the mix 15 minutes before a trail run and felt a slight lift as I began my run. It didn't take long until I started feeling awful and I barely made it through my planned distance, at a pace far below normal. These shots may work for some, but count me out. One item that's trending right now, is a post-run recovery shoe. 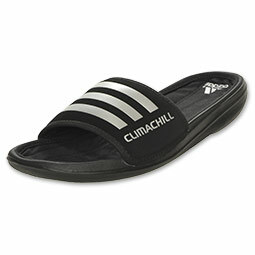 My friend TC had a pair of Adidas slide sandals that he put on after we'd run the half and the benefit was immediately clear. My feet were howling in my Kinvaras and it took a foot bath with peppermint oil to bring them back to near normal. I mentioned to my wife that I wanted to buy a pair and she suggested that any comfortable shoe could serve that purpose. Do recovery shoes help any more than a casual shoe or a slipper? Should I invest the $40 or so to get "recovery shoes"? Hard to know. But at least they won't make me feel sick.